Jodie Wolfe creates novels where hope and quirky meet. 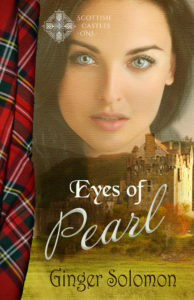 She is a member of American Christian Fiction Writers (ACFW) and Romance Writers of America (RWA) and has been a semi-finalist and finalist in various writing contests. 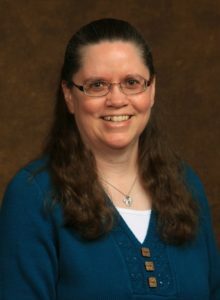 A former columnist for Home School Enrichment magazine, her articles can be found online at: Crosswalk, Christian Devotions, and Heirloom Audio. She’s a contributor and co-founder of Stitches Thru Time blog. When not writing she enjoys spending time with her husband in Pennsylvania, reading, walking, and being a Grammie. Learn more at www.jodiewolfe.com. 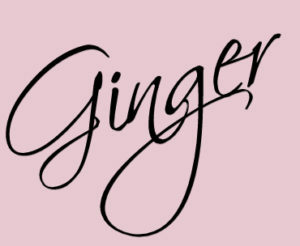 Thank you for inviting me here today, Ginger! Welcome, Elmer, how did you get your name? Most folks don’t understand why I have a boy’s name. I got it from my pa and my ma. Pa named me after him when my ma died giving birth to me. My Aunt Kate insisted I get a girl’s name too, so I got Esther which was Ma’s name. Most folks call me Elsie though. Interesting. Do you have any siblings? I’ve got four of them. My sisters are each one year apart. There’s Abigail, Bithiah—though we call her Bitty since she’s a little thing. Takes after Ma. Then there’s Cora. She didn’t get a Bible name since the only ‘C’ name Pa knew was Cozbi. Pa couldn’t think of any other, and he didn’t want no daughter named after that one since she and her husband ended up with a spear in their guts. Then there’s Dorcas and me. That’s a lot of girls. How do you feel about marriage? I’ve got no need for a fella. As soon as I kick that preacher off my property, I’ll be able to get about my business … on my own. I don’t need nobody to make it on my land. I’m better off that way, and there’s nothing you can say to change my mind. For once in all of her days, Elsie welcomed the name Pa had insisted on when her life began and Ma’s had ended. “Ain’t your son.” Ain’t no one’s son. Elsie shifted her Stetson lower to ward off the man’s scrutiny. Elsie nodded and bit back a retort. “Then sign here.” The man shoved a paper across the makeshift desk. Beads of moisture dotted his upper lip. She scrawled her name on the line. The page crinkled when she folded and shoved it into her shirt pocket, along with the copy of The Homestead Laws and Pa’s hand-drawn map. “Get out of the way, kid.” A scraggly looking fellow jabbed into her shoulder. Elsie stepped out of line, glaring at him. He ignored her and turned his attention to the clerk. She elbowed through a crowd of men. How had her small town swelled to so many folks? Thankfully there were few she recognized, or, more so, who could recognize her. The less who knew her gender, the better. She certainly didn’t need no man to help her get the land she and Pa had dreamed about. Elsie scooted her hat up and swiped at the sweat on her forehead before dropping it back into place, scrunching the thick braid she’d pinned up three days prior. Hefting her saddlebags to her opposite shoulder, she hiked the short distance to the livery and retrieved Buster. A short ride would clear her head and prepare her for what lay ahead. Dust swirled and nearly choked Elsie as she rode in the opposite direction of the throngs, to see the old farm one last time. Acrid smoke filled her lungs. Nearby fires, to deter Sooners from entering the strip before the race began, burned in the west, but not out of control. Elsie urged Buster, careful not to tire him. Everything hinged on finding the land tomorrow. In 1893, on the eve of the great race for land, Benjamin David prays for God to guide him to his ‘Promised Land. Finding property and preaching to the lost are his only ways of honoring his deceased fiancée. He hasn’t counted on Elmer (Elsie) Smith claiming the same plot and refusing to leave. Not only is she a burr in his side, but she is full of the homesteading know-how he is sadly lacking. 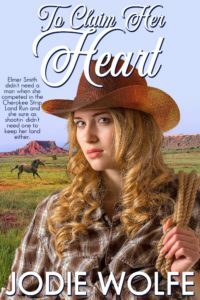 Obtaining a claim in the Cherokee Strip Land Run is Elsie Smith’s only hope for survival, and not just any plot, she has a specific one in mind. The land’s not only a way to honor her pa and his life, but also to provide a livelihood for herself. She’s willing to put in whatever it takes to get that piece of property, and Elsie’s determined to keep it. Her bitterness is what protects her, and she has no intentions of allowing that preacher to lay claim to her land . . . or her heart. My review can be seen here. Absolutely love Elsie’s spunky attitude. She can handle things on her own and proves it. Chuckle. She definitely can handle things on her own. She was a fun character to write. Absolutely loved Jodie’s book…my favorite era! I hope you like it, Caryl.